Despite creating works that have equally pleased and frustrated differing viewers, Claire Denis can now count herself as one of the most highly touted female filmmakers in cinematic history alongside compatriots Chantal Akerman and Agnes Varda. In a recent poll on women directors by Australian film journal Senses of Cinema, these three French women rank alongside Maya Deren as the top four.Failing to make movies that please everyone does not keep one from being canonized–just look at Jean-Luc Godard. Denis&#146; latest, Friday Night, will likely divvy up opinion as much as previous works like Trouble Every Day, Beau Travail, and Nenette et Boni. 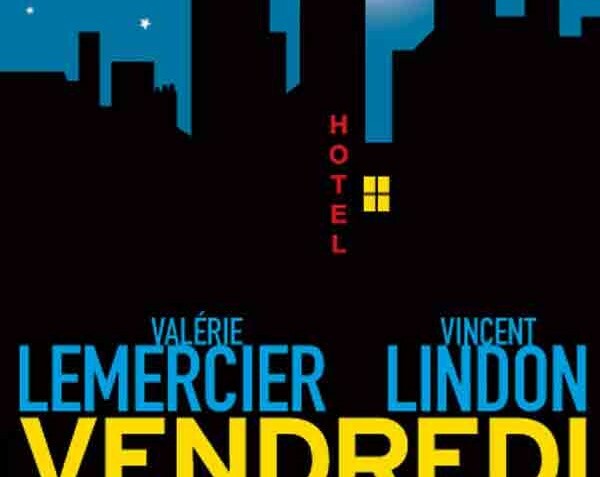 Based on a novel by Emmanuelle Bernheim, Friday Night is about the romantic encounter between two strangers over the course of a single evening. The movie opens with a series of sumptuous shots focusing on Parisian rooftops. (Funny how Paris&#146; few skyscrapers never seem to appear in the movies.) Laure (comedian and actress Valerie Lemercier), a seemingly ordinary woman in every way, is about to move in with lover Francois. After an exhausting day of packing, she bathes and readies herself for a dinner with friends. Once in her car, she suddenly realizes that due to a public transit strike, she is trapped in a traffic jam the likes of which have only been seen in movies like Weekend and Songs from the Second Floor. Laure passes the time looking at other ensnared cars and drivers, lets her mind wander, and turns up the music in her car to drown out the horns blaring outside. Suddenly, Jean (Vincent Lindon) hops into her car asking for a ride. Not knowing what to think, Laure acquiesces to her handsome new passenger.Together, they engage in an almost silent feeling out of the other&#146;s intentions. After some misunderstandings and confusion, Laure unexpectedly finds herself unable to let Jean just disappear into the night, at which point their spontaneous fling begins. Denis also exposes Laure&#146;s state of mind with insight and humor. Whenever Laure spies a beautiful woman within Jean&#146;s striking distance, her mind suddenly reels with an irrational jealousy everyone has felt before. For Laure, this is represented by some absurd daydream (think a subtler Ally McBeal). It is all about her projections, her insecurities.All of it is enhanced by a prominent soundtrack composed of car engine hums and pinball machine rings as well as Benjamin Britten&#146;s Suite on English Folk Tunes, Dimitri Shostakovich&#146;s Chamber Symphony in C minor, and original music by the Tindersticks&#146; Dickon Hinchliffe, the latter a frequent collaborator. Friday Night will probably be too low-keyed and deliberately paced for some, but it&#146;s rewards are ample for the patient and attentive.